Realizing my needs (and wants!) back in 2013, I had to hold out for a couple of years due to uni. I very much needed portability, considering I was in a computer-related course. I tried gaming on that baby (Vaio T Ultrabook), and it tried, was actually pretty decent for a while, but eventually died a laptop death. I started planning this baby back in February and lurked around on /r/bapc, /r/hardwareswap, this website, etc... Read up on each and every part.... I have met people along the way. Fast forward to now!!!! It still feels very surreal that I have this. When I finished building it, for around a week I was just grinning upon waking up because I could see it from my bed. It performs as expected which is more than I could ever ask for, AND I still have the option of overclocking both the CPU and the GPU. I am very, very lucky to not have run into problems at all. No "it's not booting", "my ram stick doesn't work", or whatever... It POSTed first time and turned on for the first time with the panels on no problem and I thank the RNG gods. Behold, Celeste! B) It's almost been a month since I've birthed her so I forget the small details, but building a PC just felt like I was finally doing something I was meant to do. I was fulfilling my destiny! I use this PC for gaming, streaming as dinklyy, content creation, and programming. I never have to worry about my computer not doing anything I need it to do and honestly for me it's one of the comforts in life I absolutely need. I don't have the perfect desk and chair yet, and the room I would want to have, even a camera (bless my 7+ for trying), so no fancy shots for now. Hopefully by the time I get the upgrades (AIO, cables, second monitor, Hue+, etc), I'll have a good camera on hand. Cinebench results are uploaded alongside the pictures. Feel free to ask me for more benchmarks! I'm making a video!!! I'll link it here by next week. The stock cooler, funnily enough, was the one I had the biggest problem with. It was the one part that took me the LONGEST time to put on. For the life of me I couldn't screw it in properly. A Kraken x62 or an EVGA CLC is going to be a future upgrade, and I had such a hard time screwing it in I considered putting the build on hold and ordering an AIO right in the middle of things.. It runs fine, however as usual Ryzen and RAM and Mobo don't play that well and I'm only running at stock 2133Mhz. I can bump it up to 2666Mhz with no tweaking but I found that I can't put my computer to sleep. There's more that I can play around with but honestly I'm fine with the performance I'm getting at the moment. Who knows, another BIOS update could do all that work for me. One star off for the meanwhile because of that. My Steam/Game Library SSD! Ooh baby, no complaints. Get an SSD and never look back. OS drive and general programs! $50 over the 960, whose speed I don't need. I honestly can't tell the difference in speed between this and the Samsung, although I haven't directly checked. My PC does turn on/off quite fast so, no complaints either. No additional cables, best part. Good ol' 2TB hard drive for mass storage, nothing special. 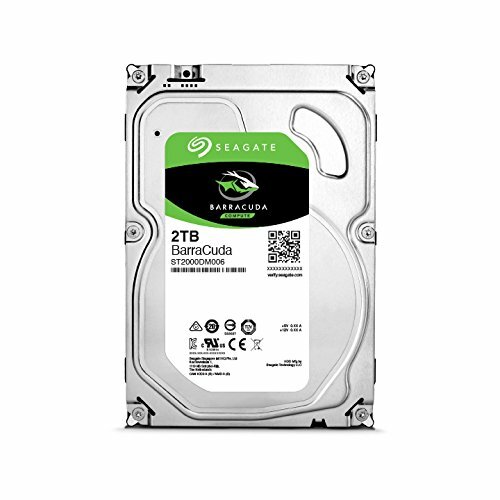 Seagate's a good name. I spent probably around three months choosing a case, literally spending a week reading up/watching reviews on every brand there is. I fell in love with NZXT right from the get go and ended up getting the one I fell in love with first. This is a friendly case for first time builders (I suggest putting in your hard drive in first before your PSU though). Some screws in my case, especially the ones holding the stock fans in, are IMPOSSIBLE to unscrew. One thing I can consider unlucky for myself, but if this was the worst thing to happen I'll take it. Looking forward to get a Hue+ in here. EVGA, Gold, G3. I like the size, gave me no problems whatsoever. There are brands where you get what you pay for- this time, I got a hassle free experience. This was cheaper by the S2417 because it's 1080 (1200?) and lacks G-Sync, but for what it is it's actually pretty great. It definitely is the more professional looking of the two. It's IPS and 60Hz. If I wasn't gearing for 144Hz, I could easily see myself getting this one. I still love my S2417 even with both bunched together. It does look bigger than the S24 even though they're supposed to be the same size. This is my secondary monitor. This comes with the miniDP. Thought I had a faulty cable, turns out you have to manually choose that, because it defaults to DP. 24", 1440p, G-Sync. There's nothing else like this. Some would say TN is a compromise, but fortunately I'm not a sensitive to colors kinda person (even with an IPS panel next to it). I did not have to calibrate it, I'm pretty happy with how it looks by default. I was originally going to go for the 27" but seeing it in person overwhelmed me. Too much screen space. 24" is my sweet spot. This is my first adult monitor and it's absolutely beautiful. Anti glare is wonderful and the settings are intuitive. Adjusting height and angle is no problem and the hole on the stand for cable management is clever. Not one bad pixel and no noticeable backlight bleed. Too lucky for words. Oh, how many keyboards I've looked at. I've arrived here, and I'm not looking back. Plug and play? Sweet. 16mil RGB? Awesome. Very minimalistic look, just the keys and a thin frame around it. No "gamer" fonts, no "gamer" look. I don't need macro keys (although it has some). It's perfect for me. Throw in the red switches and I'm set for life. I really wanted the Arctis 5/7, but upon trying it on I found the fit wasn't very good for me. I then went for the Cloud II, which was the most recommended headset to me by people I know. I have tried the Clouds before and thought they were decent, but they weren't exactly comfortable for me. It hasn't changed with this one. 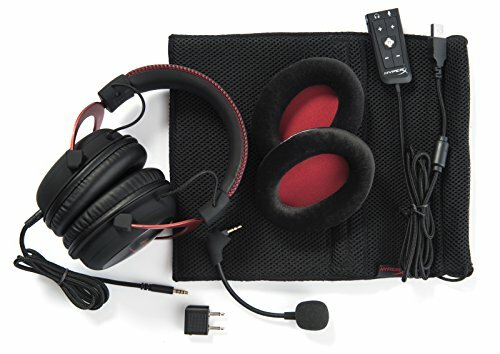 It's good for short sessions, and the noise cancellation is decent, but it is not what you want on your head for an 8 hour session. I have experienced sweating lightly and having to actually shift them around due to discomfort. The 7.1 is good in some cases but overall just feels gimmicky. I'm looking forward to upgrading to a Sennheiser when I can. 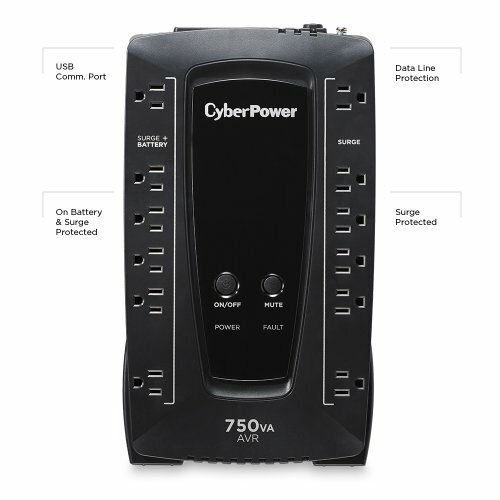 I did my reading and this apparently was one of the better units to get from CyberPower. Pretty heavy, but does the job. No problems so far. Plenty of sockets and is half a surge protector. Loving it actually. USB and XLR in one?! No way!!!!! All kidding aside it's been great for streaming. I put a windscreen on it and it's performing decently until I can get a better audio setup. 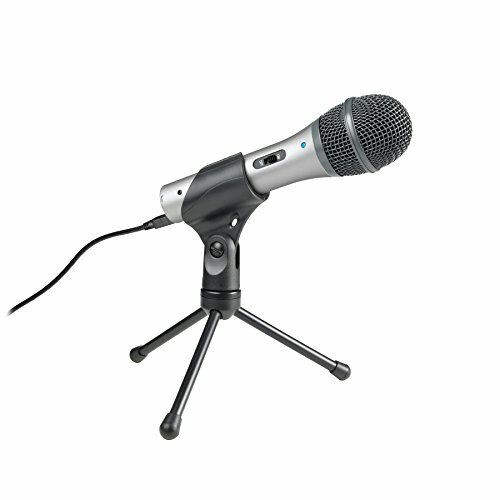 I went with a dynamic because I also plan on recording song covers and hey, if I ever find myself in need of a microphone for events, I have one. Big mousepad. Plays well with my mouse? Check. Comfortable? Check. I like that it's not pure black. 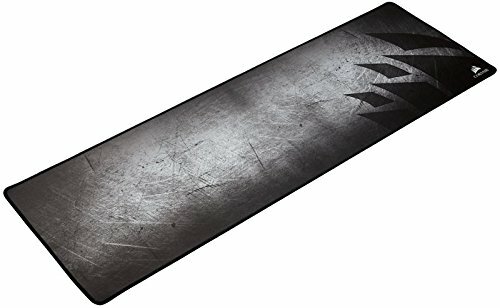 Pure black mousepads are easier to discolor than this one. It's not as bad as it looks in product pictures. 1080p classic streamer webcam. Clear enough. Great for videocalls. Great parts. Can't wait to see it when completed. I wanted the cloud 2 myself instead got a $100 deal on the Astro a40 +mix amp pro. Ah that's awesome :( For my first upgrade it would really either be headphones or the cooler, but honestly the stock cooler is performing admirably and it's not making my ears hurt. The only thing I like about the Astro a40 is modularity they aren't very comfortable. I really like how your mobo looks too. I always try to pick quality first but get hung up on I/O covers when trying to pick one they have always been a high priority to me but seeing your build might help me save some money. Yes, this is the first B350 board I've seen that I actually really like (no reds, not white, or whatever..) And I know I'm not compromising on anything because of the name. Oh, the I/O cover on this thing is sleek and subtle. You can't go wrong! Did you mean you wanted a picture of the I/O cover? What I was talking about is the inner i/o cover next to the heatsink. Eg. The strix 350 vs the strix 370 aesthetic features. Great rig! I have the 1080 Ti SC2 as well. One thing though, how does your SC2 stay at 65C? Mine is OCed 2012MHz (Peak) and 6107 on the memory and I max out anywhere between 71-78C. This board could replace my H270F. The under glow, looking at your build, seems now to be a strength. I had discounted that board for that perceived deficit. Bargain price when I consider the 1220 Real-Tech chip and aesthetic enhancement(now perceived). Perfect in my mind to pair with a 1600X, running stock with my 120 mm AIO. You're probably overclocking the 1700, how has that ben going? Hi! So sorry for the late reply. I haven't been overclocking at all. I still haven't obtained more case fans and I'm still babying this build. And the underglow does seem wonky if you think about it, but actually makes the build look super cool irl. You could get the two pack of NZXT Aero RGB fans and use them for exhaust up top and in the rear, then use the included ones up front since they can't be seen there anyway. Also your build looks great, I really like the board and chipset glow. Woah, thank you so much for the suggestion, I appreciate it! I was thinking of getting Be Quiet or similar though, I prefer noise over aesthetic for the fans in this case. Not really keen on it at the moment unfortunately, the stock fans were screwed in by Satan himself. Good job on picking your parts wisely. I'm looking to purchase this motherboard, but my first choice would be the ASrock X370 Taichi (white and black, with subtle silver). How is this motherboard working out for you? Are there any issues, failures, etc? I like the stealthy and the non-glaring RGB lighting that this ASUS has. The price is almost $100 cheaper too. I too am trying to pick and choose wisely without sacrificing features, quality, longevity, and performance. Thanks for your time to post and explain your thought process. Hi, thank you and I apologise for the late reply, I don’t get on here as much. The motherboard has been wonderful, absolutely no issues. Just always make sure it is updated. I almost had an x370, brought it home and all, but I realized then that I really didn’t need the features and this board was certainly much cheaper. It looks badass too. It's quite okay, we all have our lives and I completely understand. That's a good way to look at it when making a decision on the motherboard. Yes, these features, you may ask yourself, do I really need all these features on the X370? Is this what I want or what I need? I'm leaning towards the latter. Thanks again for sharing your thoughts and your build. 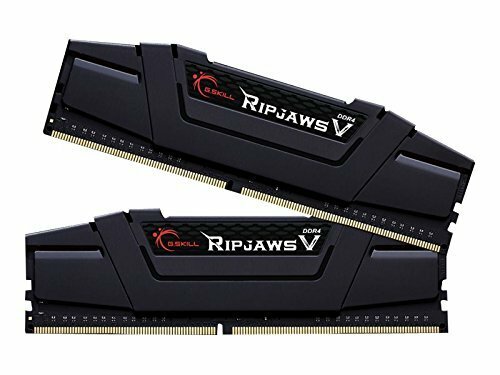 Hi, i am planning to get the same ram kit , did you manage to get 3200MHz ? Hi, no I haven't. I'm happy enough with the performance to not tinker around BIOS for voltages and stuff. I had the same issue with mobos. I had bought that same ASUS Prime X370 PRO and it just didn't feel like the right choice. Purchased the same STRIX you have last week. Arrives tomorrow and I couldn't be more excited! Yay! It's been a couple days, hope yours is up and running! Is the light on the GPU white? Nice build! Question, I see everyone complaining or saying that the GPU covers the RGB on this motherboard, could you not just switch the GPU to the second slot to uncover it? Thanks! It's a beaut. I got the U2415 this morning so I'm going to have to update this, but even with an IPS panel next to it, honestly, I'm still in love with it. This seems to be a great rig for streaming games. 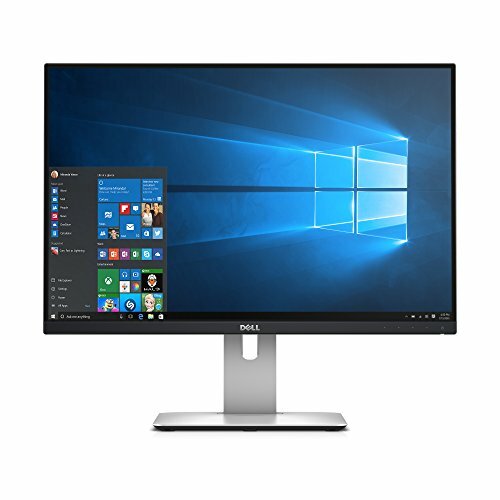 The 1440p monitor for gaming while the other for twitch, elgato, whatever other programs. Ha, you got that right :) Streaming was definitely in mind. As a multitasker, a second monitor was a no-brainer too. I'm glad that even if I have a TN I got one of the best, yeah! This rig is for gaming, streaming, content creation, programming, general multitasking :D That IS a great price, nice one!